Our traumatic brain injury lawyers are experienced and aggressive injury and death attorneys with a mission to promote a safer America overall. We have handled traumatic brain injuries on both the local and national level and have a proven track record of success in handling such cases. If you or a loved one has suffered a traumatic brain injury and you are seeking a caring and committed attorney with the knowledge, skills and experience to successfully handle your case, contact the Killino Firm today. A traumatic brain injury (TBI) is a complex injury that can have devastating affects. No two brain injuries are the same. Every traumatic brain injury comes with its own set of unique challenges and limitations, however in most cases, the effects are profound and can change a person’s life forever. Traumatic brain injuries are typically classified as “mild” if the disorientation or loss of consciousness is less than 30 minutes. Mild TBIs are usually caused by a impact to a person’s head that caused disorientation, confusion and/or loss of consciousness for a short period of time. Because most patients who experience mild TBIs appear to be normal, the injuries are often missed for days or weeks following the accident. Traumatic brain injuries that are classified as “severe” are those in which the patient loses consciousness for more than 6 hours. While the impact of severe TBIs vary from patient to patient, severe TBIs usually have life-changing consequences. Ranging from impairment of higher level cognitive function to comatose states, the effects are devastating. 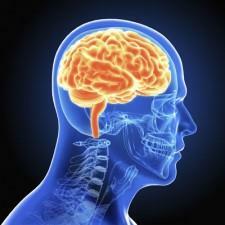 Why do I need a Traumatic Brain Injury Lawyer? Severe traumatic brain injuries usually require round the clock care and intensive treatment programs that can be costly and extremely emotional for the family. At the Killino Firm, we are aware of these affects and severe losses and we will fight aggressively to ensure patients and their families recover compensation for the devastating losses. An experienced traumatic brain injury lawyer helps injured persons and their families seek and recover compensation for their losses and will be able to take the case to trial if necessary. If you’ve been impacted by a minor or severe TBI, contact our experienced personal injury lawyers today. We will investigate the details of the injury and handle your case with compassion. Contact us today and experience The Killino Firm Difference.